It was a late one last night! I had a VERY busy, but VERY cool weekend! Saturday I got to spend the whole day with my oldest son & I do mean WHOLE day! We went to Atlanta for a chorus competition and a trip to Six Flags. We had to meet at his school at 5:30 AM and got back around 11 PM. I loved being able to hang out with him. He’s a great kid! Like all middle school boys, he’s having to learn to deal with the pressures that come with the territory. He doesn’t always get it right. But he loves God, wants to please Him, & that will take him a long way. While I was keeping my priorities in order, by being dad before pastor. My church family was representing! They had 3 outreach events taking place Saturday. They were at the Mauldin Miracle League loving on kids, serving at the Home for Children in Mauldin, & having a Blitz here at Faith Renewed for the Alabama Disaster Relief. We had a great Sunday! May is National Foster Care Month. We had a special Service Sunday morning to bring awareness to the great need that exist in the area of fostering & adoption. This is something that is very near & dear to my heart. I loved seeing our people open up to the possibility of being a part in changing a life in this way. Sunday Night we had a our monthly MIA (Men In Action) Men’s Meeting. It’s always great hanging out with theses guys! We get very “real” in these meetings & the response has been incredible. Men are loving God, loving their wife, & loving their kids on another level! To say I had an amazing weekend, would be an understatement! PUMPED about what God’s already up to this week! 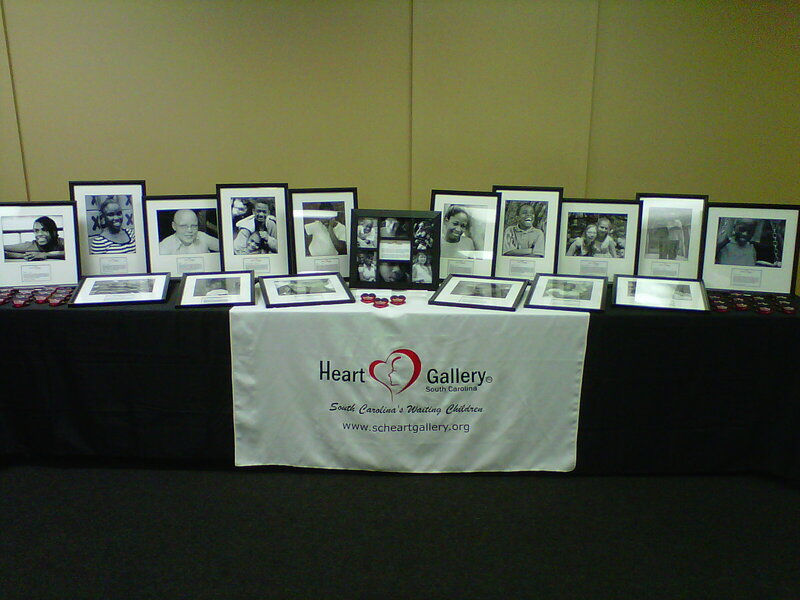 Below is a picture of the display that was set up by the South Carolina Heart Gallery. ← You CAN Make A Difference!